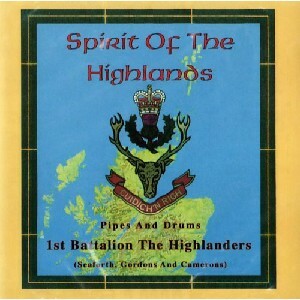 Spirit of the Highlands, The Scottish Music Shop - The Best Selection of Scottish CDs and Scottish DVDs. The pipes and drums of the British Army's newest regiment. Fine traditional military music from champion players of world-wide renown. Regimental marches, medleys, and two highly moving tunes: Highland Cathedral & The Sands Of Kuwait.